One winter’s morning in early 2012 I had a call scheduled with a fellow academic who worked on family law issues, and had done some research with lawyers and judges on the self-representation phenomenon. I was eager to hear what he had learned and his ideas about how the justice system could adjust and respond to SRLs. No one was disputing the huge increase in SRLs – but we were just at the beginning of figuring out why it was happening, what this meant, and what we should do about it. About half an hour later I sat at my kitchen counter, where I had taken the call. I had been focused on asking questions, and probing and clarifying what my colleague told me. Now I was trying to absorb it. I felt shell-shocked by what I had just heard. Which was: in order to discourage family litigants from self-representing, family courts should introduce new rules to allow judges to impose additional costs penalties on those coming without counsel. The rationale was that this would deter SRLs and make them realize that they must hire a lawyer to represent them. It was costs as punishment – literally. I already knew that most of the people I had been talking to had no cash surplus to pay for a lawyer, or in many cases, they had used up all their available funds and had been forced to let their lawyer go and proceed alone. I knew that most would be unable to pay additional costs simply because they were ordered. Surely, punishing them would only make them angrier and more suspicious of our legal system? It seemed an illogical and punitive way to “stop” self-representation. How was this the “solution”? In early 2012, I had just begun the research that would later be published in May 2013 as the National SRL Study, and was the impetus for the ongoing work of the NSRLP. I was still a neophyte about the self-representation phenomenon. I had visited the study field sites in BC, Ontario, and Alberta, and had commenced detailed, semi-structured interviews with SRLs, both in-person, and by phone. Early on I was struck by the consistency of SRL replies to my questions about their motivation, challenges and experience. It didn’t matter that they were from eastern or western Canada, family court or civil court. I was early into information gathering, and I was focused on listening to anyone who would discuss self-representation, whether an SRL, lawyer, or researcher. Today we release the fourth report in our SRL Case Law Database (CLD) Research Reports Series. This report – written by Research Assistant Ashley Haines and myself – examines the case law on cost awards against losing SRLs (including a handful of cases where there were SRLs on both sides). This publication tracks costs awards against losing SRLs that depart from the “norm” of loser-pays partial (circa 60%) indemnity costs. In roughly half the total cases in the CLD in which an SRL was the losing party, costs were set at a “substantial” (1.5 x partial-indemnity) or punitive level, reflecting the court’s opinion that the SRL had abused the legal process in an intentional and/or unreasonable way. This is a little startling and intriguing, but these cases do not have a comparable control group (a parallel group of cases involving represented parties), and the findings reflect our selection bias (we searched for unusual cost-awards). What is more significant is the correlation between cases where higher-than-usual costs awards were ordered against the losing SRL, and other parts of the CLD analysis. Are Excessive Costs Being Awarded Against SRLs Who Make Honest Mistakes? Of all the cases that involved substantial or punitive costs, 42% also raised issues of procedural fairness, that is, these were also cases where questions were raised and arguments made regarding the ability of an SRL to understand and fully participate in the proceedings. Procedural fairness issues stem from an SRL’s mistakes or misunderstandings about court procedure, and may relate to tasks such as filing and serving documents, or properly presenting admissible evidence to the court. The best-known case on this issue is the Supreme Court of Canada’s decision in Pintea v Johns in which NSRLP was an intervenor. It concerns us that cases in which procedural fairness is an issue for the SRL are sometimes the same cases in which the losing SRL is ordered to pay excessive costs. Many of these cases focus on delays. While delays certainly raise Access to Justice issues, this may be in tension with ensuring that SRLs are not penalized for their lack of procedural knowledge. For instance, in the case of JJR v JFM, (2013 NBQB 253) costs of $3,500 were awarded against the SRL, because the SRL was not “fully prepared”, requiring an additional court appearance to bring forward further evidence regarding his income, and that he failed to file a post hearing brief. 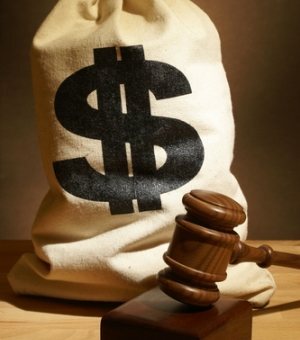 Concerns about delay led to a much higher costs award – more than $120,000 – in Ottewell v Ottewell (2013 ONSC 721), a parental alienation case in which the court was highly critical of the SRL mother’s handling of the dispute between the parties. However, she was also described as “…unfailingly polite to the court”, and Justice McCarthy acknowledged that she, “…attempted, as best she could, to follow my instructions as they pertained to procedure and rules of evidence” (2012 ONSC 5201 at para 30). How the courts balance these different factors in making discretionary costs awards against SRLs is likely to be an ongoing challenge, and we hope our new Research Report will generate some informed debate. In 8% of the analyzed cases involving substantial or punitive costs, the SRL was officially designated as a “vexatious litigant”. This is unsurprising given the relationship between increased costs, and behaviour deemed an abuse of process. More concerning is that in 50% of these excessive costs cases the losing SRL was not formally designated vexatious, but was labelled with ‘vexatious-style’ behavior, which we have already seen different courts define very differently. While vexatious behavior is sometimes equated with acting ‘unreasonably’ (for example Ascani v Robert, 2013 ONSC 2579), or in a disrespectful or disruptive manner (for example Bouchard v Bouchard, 2017 MBQB 42), it has also referred been referenced as “verbal wanderings” (Darlington v Moore, 2012 NSSC 84) or failure to comply with court orders (for example Lalli v Grewal, 2017 BCSC 983). We shall be analyzing the case law on vexatiousness in depth in an upcoming report in this series, but we note here that the correlation between describing an SRL as “vexatious” and increased costs raises a question about the consistency and fairness with which SRL behaviour is judicially characterized (and punished) as intentionally vexatious. While the Case Law Database continues to grow, and these initial observations are not dispositive, there seems to be cause for concern that some courts are using costs awards to punish SRLs whose mistakes were unintentional and the result of their lack of knowledge and experience. Further, this approach risks compromising the legitimate Access to Justice goal of using costs awards to deter process abuses – such as excessive delays and withholding information – that are deliberate, and calculated to damage the other side. This strategy seems unlikely to turn SRLs back to hiring legal representation, since it ignores the underlying reason for the SRL phenomenon: the unaffordability of legal services as currently offered. And it risks further alienating members of the public who may feel that they are being unfairly penalized for honest mistakes.